The final shootout, a unique game with the combined genres of TD (Tower Defense) and FPS (First Person Shooter.
) You control a squad of soldiers that help in the evacuation during the zombie apocalypse. Choose from a wide arsenal of defensive turrets, fortifications, and you can always switch to the direct control of any soldier for first person shooting action! 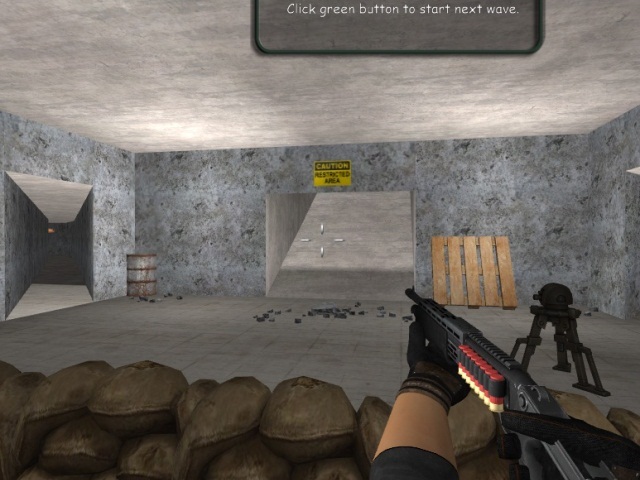 The final shootout, a unique game with the combined genres of TD (Tower Defense) and FPS (First Person Shooter.) You control a squad of soldiers that help in the evacuation during the zombie apocalypse. Choose from a wide arsenal of defensive turrets, fortifications, and you can always switch to the direct control of any soldier for first person shooting action! The New Year is approaching and it's time for Santa Claus to prepare gifts. But suddenly, Santa notices that his elves are gone. They are imprisoned in the temple! Santa's mission is to rescue all of the elves from confinement. Game Description: Swipe is a real test of your speed and reaction. Clear obstacles, collect stars, buy new character icons, and become a leader in the world table of records.